Ankara gained prominence under the leadership of Ataturk during the national resistence which followed World War I. It was declared the capital of the new Turkish Republic on October 13th 1923 when the National War of Independence freed Turkey from foreign occupation. Occupying one of the most prominent parts of the city is Anitkabir, the magnificent mausoleum constructed to commemorate Atatürk. This structure, which was completed in 1953, is a synthesis of antique and modern architectural themes, and proves the elegance and strength of Turkish architecture. Ankara has a vibrant cultural and artistic life with many select ballet, theatre, opera and folk dance performances. The city’s Philharmonic Orchestra, which always plays to a packed house, is especially famous. Altindag is 1 km from the city centre and has been occupied from prehistoric times. 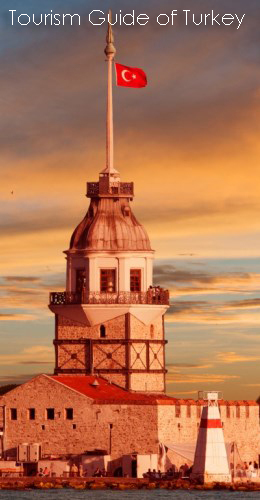 An important centre during the Selçuk and Ottoman periods, the city has many important sites of interest to visitors. Among them are the Ankara Castle, the Temple of Augustus, the pillar of Julian, the Roman Baths, the Republic memorial, the Museum of Anatolian Civilizations, the State Museum of Painting and Sculpture, the Museum of Ethnography, the War of Independence Museum and the Museum of the Republic. Also in this district are the tombs of Karacabey, Ahi Serafettin, Haci Bayram Veli Efendi, Karyagdi, Gulbaba and Izzettin Baba and the Haci Bayram, Aslanhane, Ahi Elvan, Alaaddin, Zincirli, and Kursunlu Mosques. 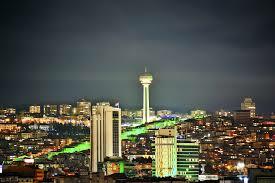 One of the most important districts in Ankara, this large area contains many places of interest. The Ataturk Orman Ciftligi, Eymir Lake, Elmadag Ski Facilities, Ahlatlibel Sport and Entertainment Centre are all within this area. Kecioren is one of Ankara’s central districts, and host to the world’s biggest meteorology centre, as well as several departments of Ankara University, the Ataturk Sanatorium and the Gulhane Military Medical Academy. Also here is the Old Ankara Agricultural School, used by Mustafa Kemal Ataturk as a military headquarters during the War of Independence, and is now a museum. Yenimahalle is within the city and has attractions which reflect the rich history of the area. Its highlight is the Akkopru Bridge, built in 1222 by the Selcuk ruler Ala’addin Keykubat along the old Bagdat Commercial road over Ankara Creek, which has four large arches and three small. Akyurt is 33 km from the city centre, and was occupied from the Early Bronze Age until the 14th century. A large tumulus 15 meters high and 200-300 meters in diameter was found 1 km northeast of the village of Balikhisar, which is a settlement from the 3rd millenium BC, and belongs to the Early Bronze Age. This area, located 58 km from Ankara, is famous for its thermal springs. The radioactive waters of the Karakaya thermal springs and the mineral drinking water, 23 km west of Ayas, are known to be beneficial for those in poor health. The vineyards at Karadere, Ova, Ariklari and Kirazdibi are some of the district’s natural resources. Located 99 km from Ankara, Beypazari’s history goes back to the Hittites and Phyrgians. Beypazari and its surroundings have been controlled by the Galatians, Romans, Selcuks and Ottomans, and at one time was an episcopal centre. From historical artifacts and ancient maps, we know that its original name of Lagania was later changed to Anastasiopolis. This charming district is famous for its historical houses, silver craftsmen and for its carrots. Within the district are many places of interest, including the Bogazkesen tomb, Suluhan, the Old Baths, the Sultan Ala’addin Mosque, the Aksemseddin Mosque, the Kursunlu Mosque, the Rustem Pasa Baths, the tomb of Gazi Gunduzalp (Hirkatepe), Kara Davut’s Tomb (Kuyumcutekke) and the tomb of Karaca Ahmet. The Egriova highlands, 10 km from the town, the lake and geological structures resembling ‘fairy’ chimneys around the village of Dereli, are some of the district’s more interesting sites. The district of Camlidere is located 108km northwest of Ankara. There is a mosque belonging to the Selcuk period in the nearby town of Pecenek. It is possible to come across the remains of graves and settlements from the Byzantine Era as well. Cubuk is 39 km from Ankara’s city centre. The ruined castle at Aktepe and the Carved Rock (Oyulu Kaya) grave in the village of Karadana are remains of Hittite settlement. Later the area would be ruled by the Phrygians, Galatians, Persians, Romans, Byzantines and Selcuks respectively, and it was also area of some importance during the Ottoman Empire. The forest around Cubuk Dam and Lake Karagol are important recreation spots. 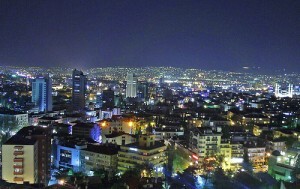 The district of Etimesgut is 20 km from the center of Ankara. Both the Phrygians and Hittites are known to have had settlements in this area. This area was settled mostly by Turks immigrating from western Trakya after the declaration of the independent Turkish Republic. The villages in this area all have a fascinating historical background, with many sites worth seeing. For example: the tumuluses and artifacts found in the villages of Selametli, Gokcehoyuk and Bezirhane; the Roman burial sites and columns in the village of Taspinar; the Byzantine coins and artifacts found in Karaoglan; and the remains of churches belonging to the early Christian period in the villages of Yurtbeyi and Karaoglan. Located 89 km northwest of the Ankara, Gudul’s history dates back to 3500-3000 BC. Huge caves found along Kirmir Creek, which flows through the district, have yielded evidence of Hittite settlement. Haymana’s thermal springs, 73 km from Ankara, are world-famous and were used even as far back as the Hittites. After the Hittites, the thermal spring facilities were repaired during the Roman era; and a town, whose ruins can still be seen, was founded 1.5 km east of Haymana and eventually became a therapy centre. Kazan It is not exactly known when Kazan, 45km from the city centre, was first established. Excavations have uncovered a number of historical artifacts demonstrating that the area has been used by number of different civilizations for settlement. Nallihan’s history is similar to that of the surrounding cities. The county seat, Nallihan, 161 km from Ankara, was established in 1599 when Vizier Nasuhpasa had a han built there – hence the name. The roof of this 3000 sq. meter han is in poor repair, and the mosque and a Turkish bath date back to the same time. The Uluhan mosque in Uluhan (Kostebek) village was constructed in the 17th century, and is a valuable historical structure. 148 km from Ankara, Sereflikochisar was first settled between 1400-1300 BC. In the Selcuk era there was a castle around the hill right next to the town, and a second castle on an even higher hill. The Salt Lake, which is the second largest lake in Turkey is also in this district. The Hirfanli Dam and lake found to the north provide irrigation for this arid region and there is fish farming as well. The Salt Lake, the Kursunlu Mosque, Kochisar Castle, and Parlasan Castle are all popular tourist destinations.